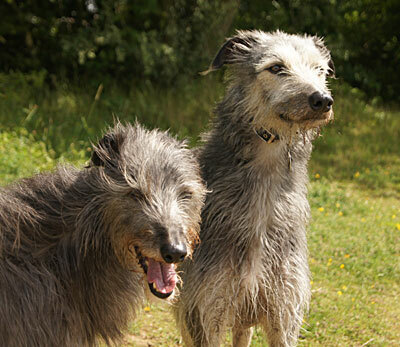 My deerhound X lurcher, Blue, has recently lost his lifelong companion, Archie - a similar cross. Blue and I miss him a lot and I am offering a loving home in Scarborough, near to the beach, the forests and the North Yorkshire Moors to a Deerhound or Deerhound X lurcher who needs rehoming. Small grandchildren occasionally visit, and Blue and I are owned by a bossy Siamese cat. I am watching all the appropriate sites, rescue centres etc, but would be grateful if anyone hears of any suitable dogs. Attached is a pic of Archie (left) and Blue. Last Edit: 8 years 4 months ago by dejabe.